Cover incorrectly states region 3. When an ambulatory TV news unit broadcasts live the embarrassing defeat of a police battalion by five bank robbers in a ballistic showdown, the credibility of the police force drops. While on a seperate investigation in a run-down building, detective Cheung discovers the hideout of the robbers. Cheung and his men have also entered the building, getting ready to take their foes out any minute. Meanwhile, in order to beat the media at its own game, Inspector Rebecca decides to turn the stakeout into a breaking news show. The media... don't you just love them? Please feel free to interpret as much sarcasm as you wish in that sentence. They are arguably the most powerful organisations in the world with the power to build up or ruin pretty much anyone's reputation as they please. It would be nice to think that, particularly with the news, it is just facts that are broadcast and they are done so without bias, but I personally don't think that is the case. With Breaking News, Johnnie To gives us an action film that tries to show the effect the media can have on public opinion. After the media film a police officer surrendering to a robber, the treat this incident as police cowardice and question whether the Hong Kong police are capable of keeping Hong Kong a safe place. Realising that the media has heavily influenced the public, the police decide that not only do they have to apprehend the criminals, they have to make it look good for the public at the same time. Soon a psychological battle between the police and criminals ensues to gain the upper hand of the public. While watching films I freely admit that I'm not the most appreciative of the difficulties involved in filming some scenes. Every now and then there is a scene that does make me take notice and I end up thinking something like "Wow! That was an amazing scene!" These scenes always seem to have one thing in common, and that is that they are always very long takes with a lot happening in them. Hard Boiled had one of those scenes in its hospital corridor shoot-out, and the David Fincher directed Panic Room had one at the point where the burglars are preparing to break into the house. Breaking News has one of those scenes too, and coincidentally it is a bit of a cross between the aforementioned scenes in Hard Boiled and Panic Room. The scene in question is the opening gunfight. From the moment that there is a picture on screen there are no cuts for the next 7 minutes. It starts off slowly with people just going about their business, but then the action starts and the bullets start flying. The camera goes in and out of the action, from ground level to high in the air depending on where the focus of the action is taking place. I've no idea how long it must have taken to plan this scene, but with all the people involved, all the gunshots fired and all the camera angles that would have been needed, the scope for error must have been huge. After watching the whole scene, when the next cut came I was in complete awe at what I had just taken place. For some reason I have a thing for these long take scenes, as it suggests that the actors and actresses involved have to know their role very well and generally the amount of effort and concentration required is greater than for the quick cut scenes. Along with the scenes in Hard Boiled and Panic Room, this scene from Breaking News is among my most respected for its technical merits! Without question the opening gunfight is the high point of the film, but we are fortunate in that the rest of the film is still of a very high standard. 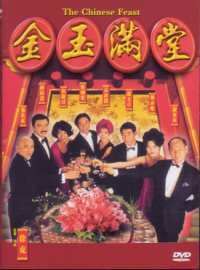 There are plenty of action scenes in the 90 minutes running time, allowing the pace to rarely let up, most of which reminded me of the action scenes in Time and Tide possibly just because they were taking place mainly in an apartment block, but also because tactics were the game of the day, rather than a gung-ho bullets blazing approach. With action being the focus of the film, there are other casualties along the way, most notably in character development. 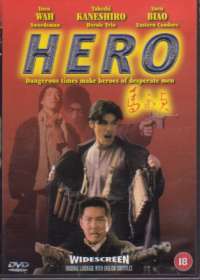 The two main good guys are Nick Cheung as Cheung and Kelly Chen as Rebecca, and there is absolutely no development in their character from start to finish. At the start Cheung is a relentless cop who won't give up in his quest to get the bad guy, and that's all he is all the way through. Rebecca is an Inspector who has an idea on how to play the media to the police's advantage, being a bit of a intelligent talker and very tactically clever, and again that is how she stays. This lack of development is more frustrating as there were hints of their being far more to her character than were ever played on. Early on we see that there may have been some sort of relationship or something between herself and her superior. At the same time there is talk of her father (I think) being ill or recently deceased, but neither of these things are mentioned again. The only development of depth to any of the characters comes on the bad guys side of things. Richie Jen is the main one as the lead robber Yuen. From the way the story portrays him, he manages to attain more sympathy and emotion from the viewer than anyone else. He starts just as a killer and robber, but as the film progresses you learn more about him, his background, and from a heart-warming cooking scene what he wants to do with his life. By the end of the film through his encounters in the apartment building, while still being a bad guy, he has changed a bit. With little in the way of character depth to work with, to make sure the film still retained attention when the action was on pause the actors had to pull of good performances. Fortunately on the whole they did. The most surprising of all for me was Nick Cheung. I'm actually a bit of a fan of his for some reason, as I really liked his Conman movies, but here he completely loses his comic side to good effect. With none of his usual comic quips or expressions he is far more believable as the tough, determined cop out to catch the bad guys. Whether or not you can actually see him as an action star is another thing, but that is just preconceptions getting in the way. Kelly Chen, while being a stunning woman, is probably the weakest of the three leads. Something about the way she acted in some scenes left me a little unconvinced. Yes she was authoritative at times, and had that cunning look to her, but at other times it just didn't come across right. The same strength simply didn't appear to be there. Top of the list was Richie Jen, with Breaking News being the first film of his that I've seen. Reasons for him being better than the rest on screen are probably to do with him having far more emotions to play with. We see him as the cold-blooded killer, the calculating thief, the sympathetic bad guy, the smiling friend etc. Each of these moods is pulled of with a bit of a cool style, allowing him to become the most cared for character in the film. No two ways about it, this is an action film, and with that the lack of character depth can largely be forgiven, especially as Breaking News delivers the goods in the action. However, there are still a few other flaws. Firstly, why, oh why, did the film have to include a couple of fart gags? These simply served no purpose and were not funny (oh what a sad sign that I've matured a bit...). Secondly there were a few things that were a little less than believable, like the complete insistence of two police departments refusing to cooperate, and then with the hostages near the end. How come there were hostages in so many apartments? The commentary the film gives on the power of the media also isn't played on that much. Yes the media is used for influence in the film, but if Johnnie To wanted to make some sort of social commentary or statement, then he falls short. Those aside, Breaking News is a very entertaining film. If you want action then you get it here, along with one of the most memorable gunfights I think I've ever seen. 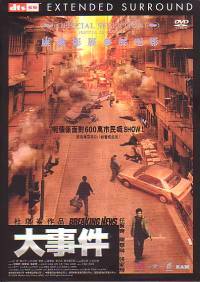 This is another film that can stand out on Johnnie To's rather impressive filmography! Of the two Cantonese tracks on the disc, I chose to watch the film in the DTS mode. Alas I only have a 5.1 system, not a 6.1 system, so these comments are for hearing this soundtrack from a 5.1 point of view. Everything in the soundtrack is very crisp and clear sounding. There is really good bass in the explosions, the gun-shots are impressive sounding, it all does sound good, yet I was a bit disappointed with the audio track. The reason for the disappointment is the apparent lack of noticeable surround speaker usage. Yes, the surrounds are all used, but it didn't seem to be anywhere near as much as they could have been. With all the gunfights that take place I would have expected to feel more immersed in it, with bullets ringing all around the speakers, but I wasn't. It seemed as though most of the sounds games from the front speakers. There were a few moments that had definite discrete rear speaker use, and those moments served to make clearer the lack of use at other times. For the type of film Breaking News is, there were plenty of opportunities to have a soundtrack that made more of the multi-channel system. The first thing I noticed about the subtitles was that the font was a little larger than usual. This was made more noticeable from one of the first lines of subs being split over two lines. These lines ended up going over about half the screen and I started to fear the worst about big, annoying and distracting subtitles. Fortunately this was not necessary, as I didn't notice two lines of subs on screen at any other point in the film, and one line wasn't too big after all. For spelling and grammar, the subs score very highly as I didn't notice a single error in either department at any point in the film, however the accuracy of the translation might be questionable. I don't understand Cantonese, but the basis for this comment is that the subtitles subtitle written English text a little differently than what the English text actually says. If this happens for English, then is it quite likely that the Cantonese has been non-literally translated? The film comes with a nice anamorphic widescreen transfer, which for the large part is free from dirt, speckles and the like. Detail levels didn't appear to be that high, but the picture still seemed reasonably sharp. I was not aware of any grain effects on the print or any other defects. Colours were quite muted in places, nothing seeming too vibrant. This may be due to filter usage and a deliberate effect, but the shadow depth is where I felt the film print was most lacking. It looked as though things went from being in light, to being in almost complete darkness in the shadows. As well as the film, there are a handful of so-so extras to entertain you. First up is one called The Story... three guesses as to what this one is about! It is basically just the film's synopsis in both English and Chinese. Next up is a Deleted Scene, which has Mandarin audio only. This, to me anyway, suggests that this was a scene for the Mainland China release or something like that. There are Chinese subtitles for it only, meaning I had absolutely no idea what was going on! After this there is a Behind The Scene mini-featurette, clocking in at 3 minutes. Again there are only Chinese subtitles, but you get to see them filming some scenes. It would have been nice if this extra had been longer and showed how they went about preparing for, and filming the opening gunfight. But no...Moving on, there is the obligatory film trailer, then Cast n' Credits, giving a list of the cast and crew as well as a biography and filmography (in English and Chinese) for Johnnie To, Richie Jen, Kelly Chen and Nick Cheung. Finally there are trailers for The Eye 2 and Xanda. If you were looking for character depth then the chances are you wouldn't choose to watch an action film in the first place. Breaking News is an action film that has enough going for it in that department to make it stand out among the crowd.